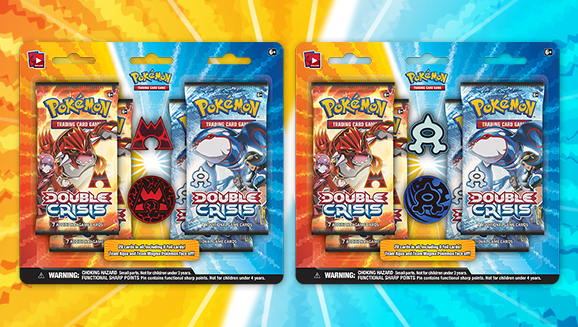 Two teams of villains emerge from their hideouts to clash over the fate of the world in Pokémon TCG: Double Crisis! Team Aqua brings sheer brawn and willpower while Team Magma leverages logic, and both are willing to move land and sea to accomplish their goals. While Team Aqua’s Kyogre-EX rampages against Team Magma’s Groudon-EX, their rival ambitions could change the Hoenn region forever!